It’s the end of the year and I’m reflecting a lot on gratitude, successes, failures, and new dreams. It’s been an amazing year with lots of changes. My “incredible” baby is now a toddler and she is my guru. I am very lucky that I can schedule the mornings with her to teach her rituals, play, and grow together. In my services of airbrush tanning, teeth whitening, or Chinese face readings, I always share with clients the messages I channel with Isabella. Sometimes I give clients “OmWork.” We always laugh and they tell me “It’s never just a spray tan with you Thuy.” My energy prescriptions always include forgiveness because it really releases negative energy, clears stuck energy, and makes a persons auric energy field so much bigger. 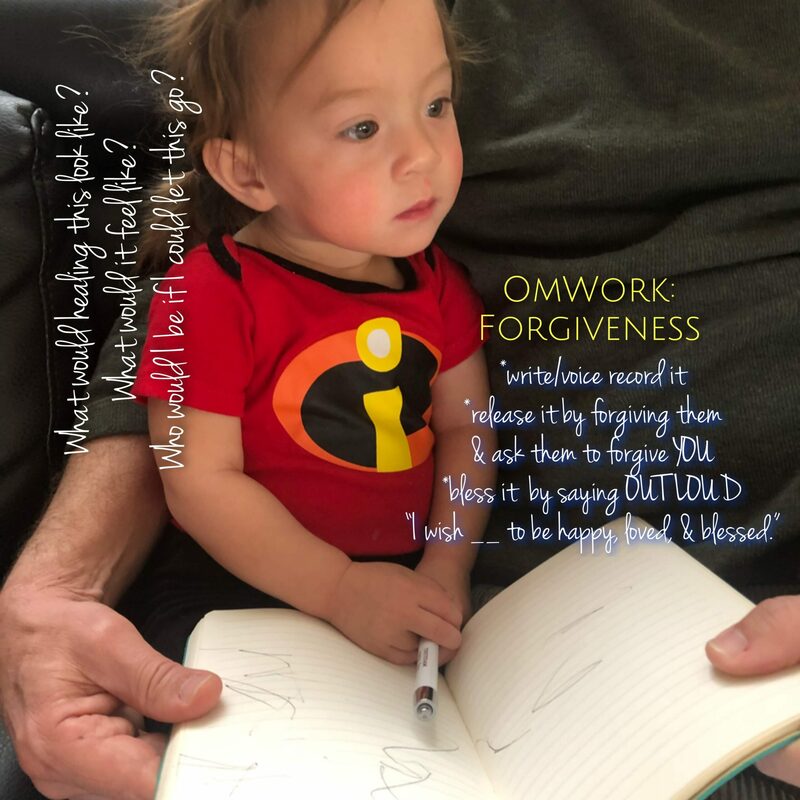 This month, the OmWork is FORGIVENESS. This is a life long practice and ritual. There are so many layers to it. The more I forgive, the lighter I am. More so these days, I’m learning to forgive myself. I’m learning to let go of vows I made. I realized how hard I am on myself and how mean I can be to myself. This is dense energy that can cause you to be frozen or stuck. It’s so much ego. It keeps you small. I encourage you journal about it daily now to February as we are in the “metal” season of Chinese Medicine. This is a season about letting go, perfectionism, values, enoughness, grief, sadness, purpose, vision, and beauty in experiences. Take a little more time around the new moons and full moons to do this and let the feelings really come up so they can clear out. It’s a better time for releasing and manifesting during the moons with energy. Write down all the people you want to forgive and want them to forgive you. It’s always a two way road. Release it by saying “I forgive you because you taught me lessons I needed at that time. It made me the strong person I am today. Please forgive me as well. I wish for you a happy life.” You always want to bless it afterwards. You must also do forgiveness for yourself! Forgive yourself for your perceived mistakes…it’s what you did at a time but not who you are. File it and don’t carry it into the present or future. With no burden to carry into the future, you can do, be, and have whatever you dream. You are light and can CREATE anything. To carry this even further, delete all your text and emails-ZERO it out. I several friends that have over 20K plus unread emails. This creates clutter and a state that you will never get caught up. This little act will also wipe out many negative magnetic fields and emotional fields. If you do not like writing, you can also do it in a voice memo. The ritual is to ground it and clear it. You want to get unstuck right?